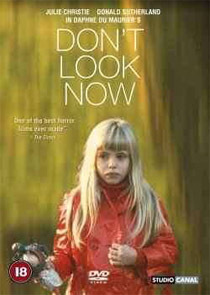 Several countries have already released Nicolas Roeg’s haunting, allegorical 1973 masterpiece Don’t Look Now (Germany has Wenn die Gondeln Trauer tragen, and France has Ne Vous Retournez Pas, for example), but the Region 2 British disc from Warner Home Video and Studio Canal trumps the previous versions with a twenty minute “introduction”, which turns out to be a twenty-minute documentary titled Looking Back, featuring contributions from Roeg and the film’s cinematographer and editor. The film itself, about a young couple (Donald Sutherland and Julie Christie) who are struggling to put their life back together after the death of their young daughter, is presented in anamorphic widescreen (1.85:1) with good colour fidelity, stability and crispness, but with shrill 2.0 mono audio (French and German discs are no better). The UK disc contains the uncut version of the film (which has always been available here). 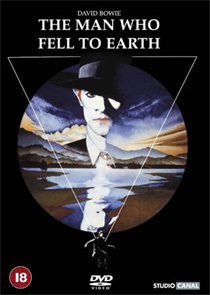 Warner and Studio Canal have also released Roeg’s stimulating 1976 Science Fiction movie The Man Who Fell To Earth, about an alien visitor (David Bowie) who uses his advanced technological knowledge to become the head of a massive corporation, in a version that trounces the current US DVD, from Fox Lorber. The film is presented in 2.35:1 ratio, with anamorphic enhancement, and with a flashy 5.1 audio mix (at 448kbps). The film is supported by a twenty-five minute documentary, Watching The Alien (surely that should be Loving the Alien, given Bowie’s involvement?). It contains interviews with Roeg, co-star Candy Clark and other key crewmembers. One of the film’s theatrical trailers is also included. A Region 1 disc is currently being prepared by Anchor Bay (who are credited on the documentary), so potential customers may want to wait and see what that version offers, and whether they will iron out a couple of glitches (a scene without the day-for-night effect added, for example). With any luck it will contain the composite commentary track from Criterion’s laserdisc, which featured Bowie, Roeg and actor Buck Henry.